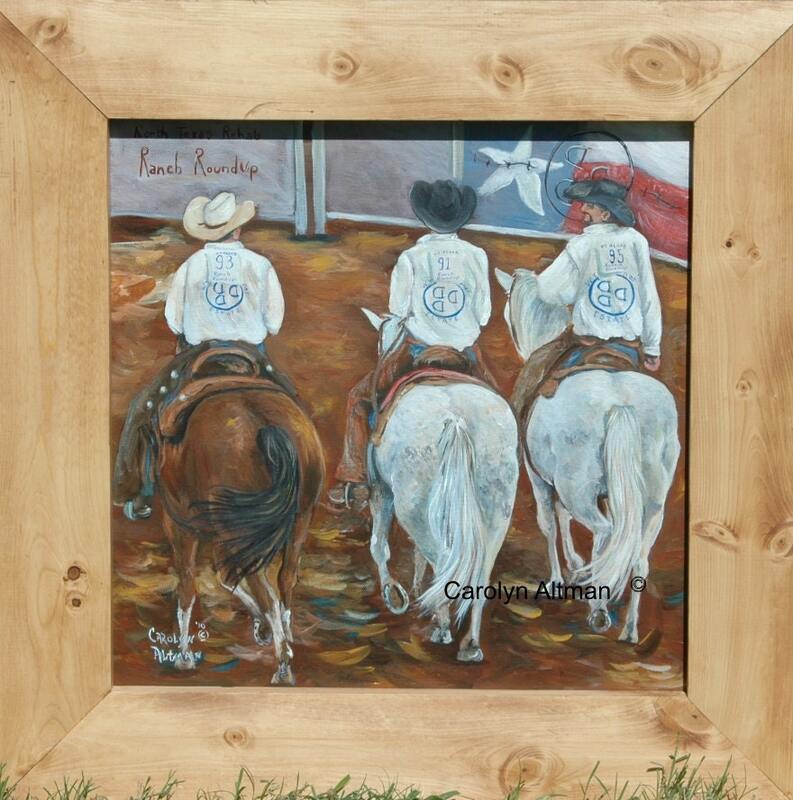 W. T. Waggoner Estate cowboys depicted in this painting riding proud in the Grand Entry at the North Texas Rehab Ranch Roundup. This is an acrylic painting and framed in a wooden frame made by my husband, Stanley Altman. Framed original 20x20 inch with 4" frame.